The Muslim member of Bosnia’s multi-ethnic presidency says former Bosnian Serb leader Radovan Karadzic “got the punishment he deserved” from United Nations judges who upgraded his sentence for war crimes to life in prison. Sefik Dzaferovic said the people who suffered under Karadzic during Bosnia’s 1992-1995 war “can be satisfied with this” after waiting so long for justice. Bosnia’s presidency also includes a Croat and a Serb member. The Serb member, Milorad Dodik, called the U.N. judges’ decision “arrogant and cynical.” Dodik says Serbs in Bosnia consider the judges biased against Serbs. He says the Yugoslav war crimes court was designed to build trust among Bosnia’s former war foes, but has instead driven them further apart. Petronijevic says “this judgment won’t help reconciliation in Bosnia” between Bosnian Muslims and Serbs after the 1992-95 war that left more than 100,000 dead and millions homeless. The judges on Wednesday increased Karadzic’s original 40-year prison sentence to life. The prime minister of Bosnia’s Serb entity has criticized a United Nations war crimes court for upholding the conviction of wartime leader Radovan Karadzic and increasing his sentence to life imprisonment. Many Serbs consider The Hague tribunal as anti-Serb in its handling of cases from Bosnia’s 1992-95 war, which killed 100,000 people and left millions homeless. Holding photos of dead loved ones, relatives of the victims of the Srebrenica massacre in Bosnia cried out and applauded as United Nations judges increased former Bosnian Serb leader Radovan Karadzic’s sentence to life imprisonment. The appeals judges ruled that the 40-year prison sentence Karadzic received in 2016 wasn’t adequate. Defense lawyer Peter Robinson spoke Wednesday after United Nations appeals judges upheld Karadzic’s convictions for genocide, crimes against humanity and war crimes as leader of Bosnian Serbs during the war. 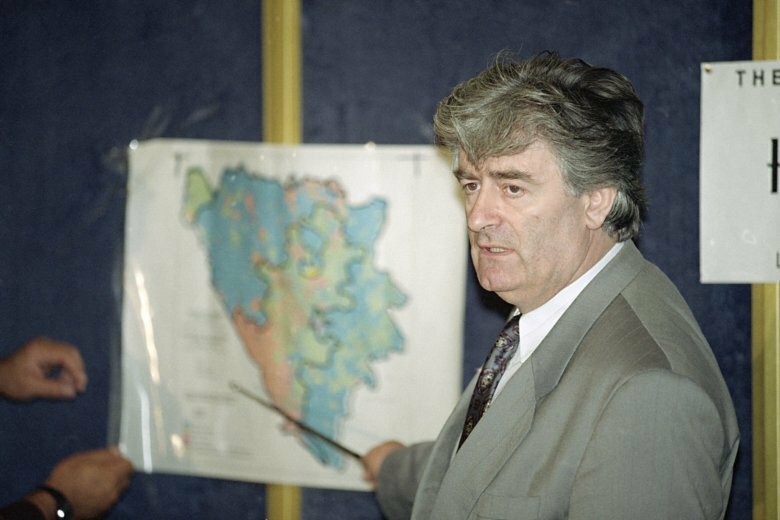 The panel also increased Karadzic’s prison sentence from 40 years to life. The former Bosnian Serb leader’s case has been considered key to delivering justice for the victims of the Bosnian war, which left over 100,000 people dead and millions homeless. Joensen said the trial chamber was wrong to impose just a 40-year sentence given what he called the “sheer scale and systematic cruelty” of his crimes. Separately, the judges rejected a prosecution appeal against Karadzic’s acquittal on a second count of genocide in the same war. Dozens of survivors and relatives of the victims from Bosnia’s 1992-95 war have gathered to watch the broadcast of the final ruling at a U.N. court in the genocide and war crimes case against former Bosnian Serb leader Radovan Karadzic. A hearing is underway at a United Nations court where judges will hand down their decisions in the appeal by former Bosnian Serb leader Radovan Karadzic against his convictions and 40-year sentence for masterminding atrocities in his country’s devastating 1992-95 war. United Nations judges are set to hand down their decisions in the appeal by former Bosnian Serb leader Radovan Karadzic against his convictions and 40-year sentence for masterminding atrocities in his country’s devastating 1992-95 war. Karadzic appealed his 2016 convictions for genocide, crimes against humanity and war crimes, as well as his sentence. Prosecutors appealed his acquittal on a second count of genocide during Europe’s bloodiest conflict since World War II.